Shaw Theatres boasts 7 locations throughout the island and is particularly noticeable with its gigantic LED screen on Orchard Road, comparable to the one in Time Square, New York. Orchard Road: Shaw Theatres Lido (Shaw House, 11 halls including Singapore's first and only IMAX's Digital Theatre System). Its halls 2 and 3 are equipped with the RealD 3D systems and the latest Dolby Surround 7.1. North and West: Shaw Theatres JCube ( JCube, 7 screens) features the latest in cinema technologies like IMAX, Dolby 7.1 Surround and RealD 3D systems; Shaw Theatres (Nex, 10 screens); Shaw Theatres Balestier (Shaw Plaza, 7 screens); Shaw Theatres Lot One (Lot 1 Shoppers' Mall, 5 screens) with RealD 3D systems and the latest Dolby Surround 7.1 in hall1. 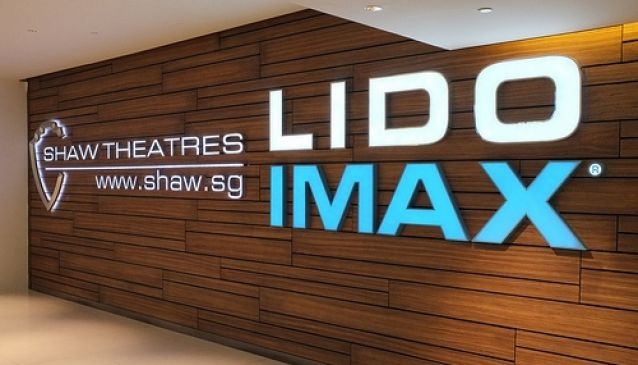 Civic District: Shaw Theatres Bugis (Bugis Junction, 4 screens). East Coast: Shaw Theatres Century (Century Square Mall, 5 screens).